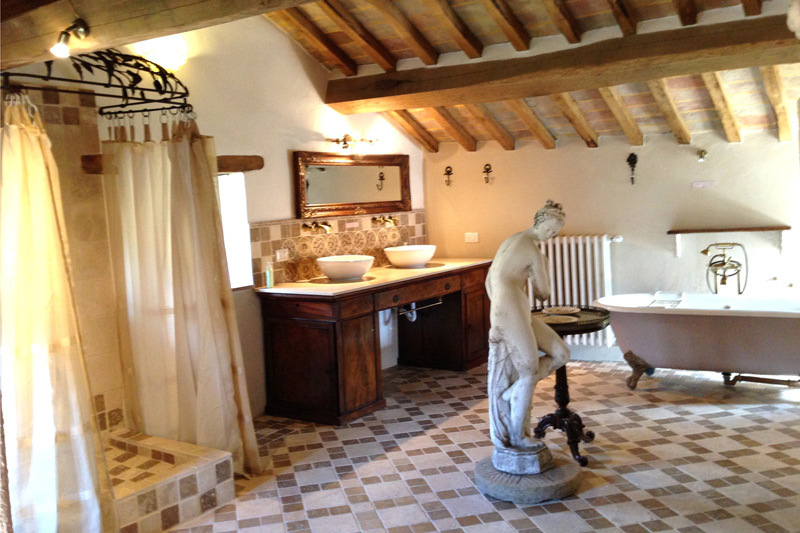 Villa Chimera has an excellent location - when you are there you are totally secluded, private and quiet. But within a few minutes you have access to shops and restaurants. 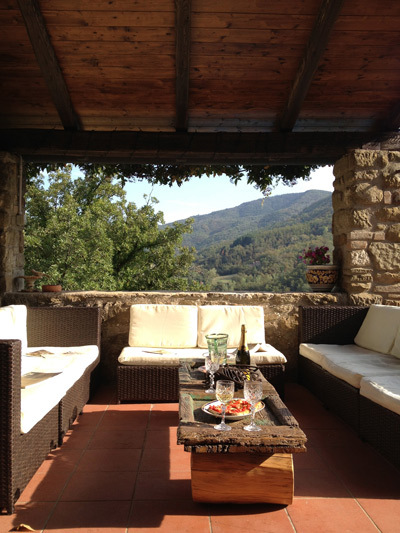 The villa is a 7 minute drive from a charming tiny village San Leo Bastia that has all basic necessities, fresh bread, cheese, salami and little shop, a bar for coffee and apperitivi and a little Trattoria serving some of the regions best steaks. Other local restaurants are dotted around within 15-20 minutes drive from the house. 25 minutes away is the historic and beautiful town of Cortona and 15 minutes drive and you are in a small working town Trestina, with everything you need, from bank, gelateria, and shops to a market, large supermarket, and internet cafes. See the booking page for travel details. Within an hour in every direction from La Chimera are numerous medieval villages and towns, many of which have commanding hill-top views and picturesque local restaurants and cafes. Cortona is a beautiful walled town situated at 600m on a hillside overlooking the vast Val di Chiana valley and Lake Trasimeno. Although primarily medieval in its architecture, its history dates back to pre-Christian times. 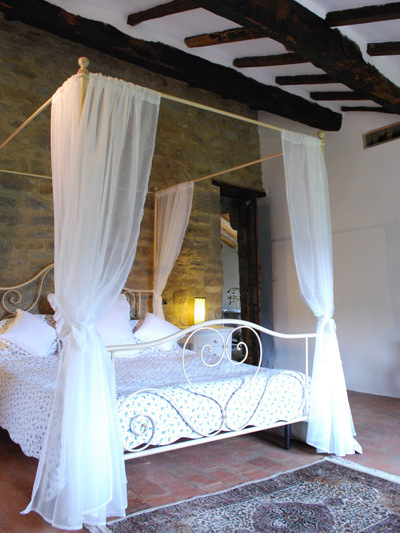 Cortona is filled with wonderful artisan shops, fine restaurants and a rich cultural legacy. It is a magical place to visit and is not to be missed. Gubbio is another ancient city, dating back to the Bronze Age and predominately medieval in it's architecture. It is also home to some beautiful Roman ruins and some fine churches. In an area so rich in history there are wonders to be discovered wherever you go! Local specialities include black and white truffles, roasted wild boar, some of the best wines to be found in Umbria and Tuscany and wild mushrooms of many varieties. In the summer there are also many festivals in the area, including the Montone Film Festival, the Lake Trasimeno blues festival and other culinary and wine based fetes.